Blast Cleaning Technologies design capabilities allow several options for our customers. Doors are complete with frames, heavy duty hinge assemblies, limit switches. Our door designs include: swing, bi-fold and powered roll up doors. 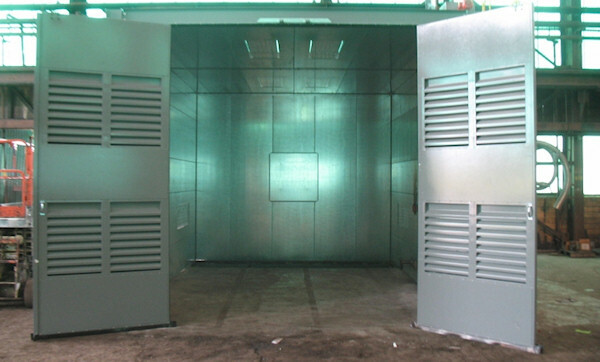 We provide a superior door design for our Airblast room designs, engineered and manufactured in the USA.